If you need information quickly about how to bring your succulents in and time is of the essence, sign up for a five part e-course that automatically sends you one installment per day. Learn about the right light for succulents, soil types and watering, as well as bugs and how to deal with them. Find out my recommendations for things to watch for, and several different options to keep your succulents either dormant for the colder months, or to grow them actively as house plants. Either way, you'll have some healthy and happy plants to display outdoors once the weather warms up. Don't replace them with new ones (unless you want to! ); keep the ones you love the best for many years by learning a few tricks of the trade. 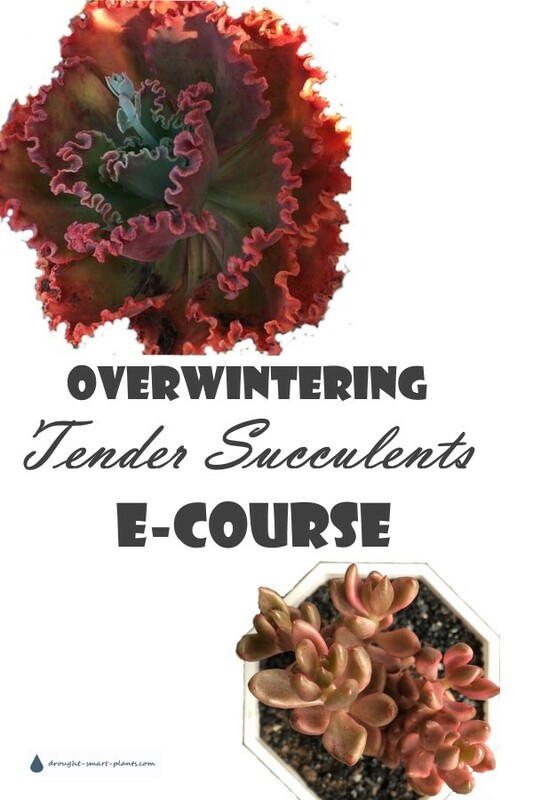 Sign up for your Overwintering Tender Succulents E-Course with the form below: (if you would rather get one installment every five days, instead of this version, sign up to the Winterizing Succulents E-Course).